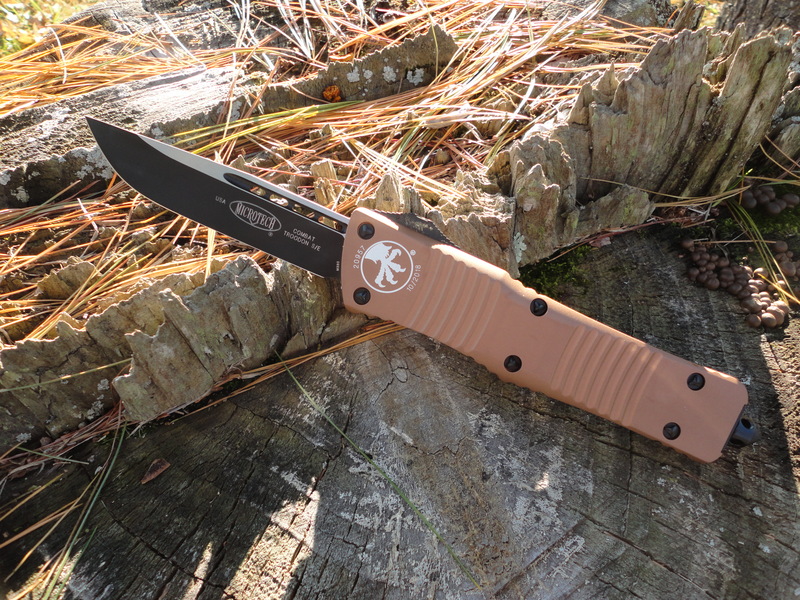 Microtech 143-1TA Combat Troodon – Tan Handle, Black Blade – Microtech’s second largest double action out the front production knife and is named after the Troodon dinosaur. 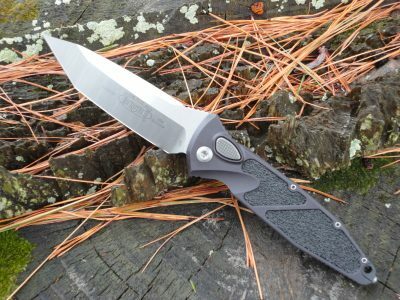 The Combat Troodon is the large version of the popular Troodon. 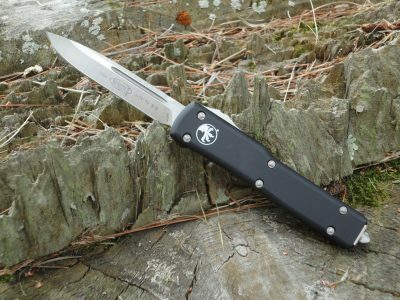 The Microtech 143-1TA Combat Troodon has a two-tone black finish Bohler M390 steel drop point blade with a plain edge. 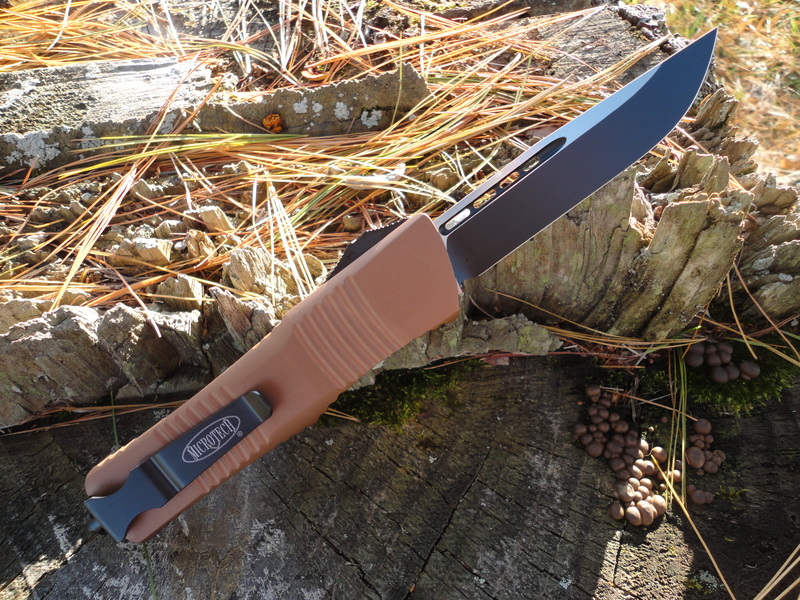 The handle is tan anodized 6061-T6 aircraft grade aluminum with a black finished steel glass breaker, pocket clip, and hardware. 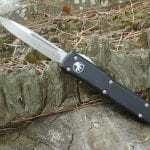 This is one of Microtech’s largest D/A OTF knives, and is a favorite among law enforcement, military and first responder personnel. 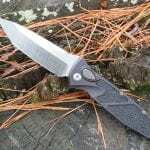 The substantial feel makes it suitable for hard-use, while the benefits of an automatic OTF make it a great choice for everyday carry……….it’s big and bad!